Caesarstone manufactures quartz surfaces for countertops, vanity tops, and tiles. 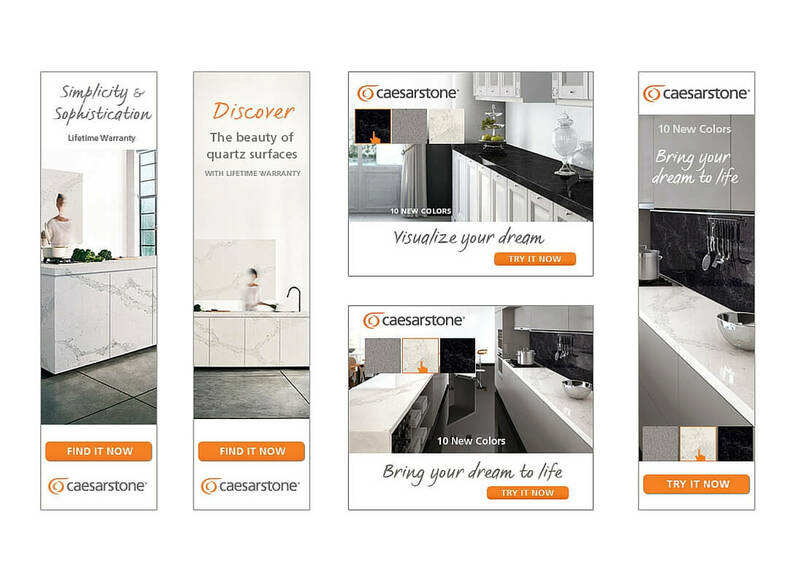 When Caesarstone first approached Intact Info in 2008, they needed assistance in growing their brand and increasing sales throughout the United States. 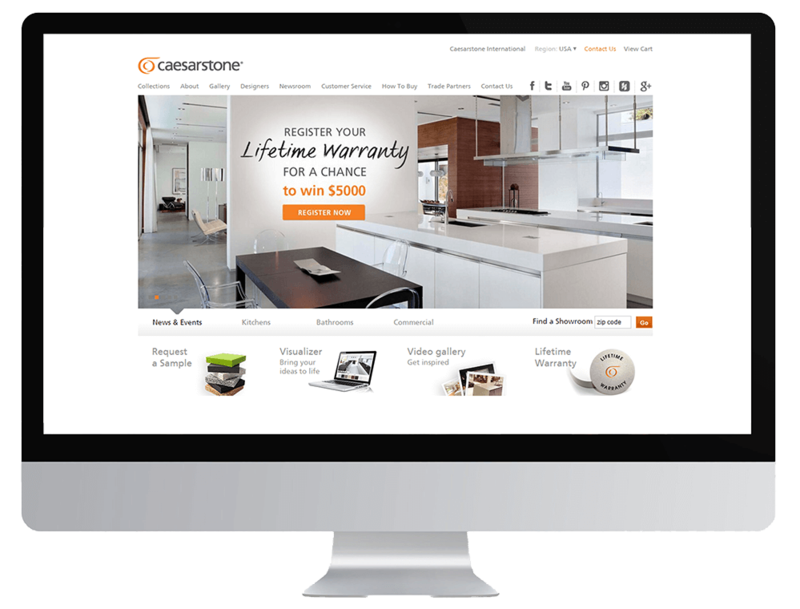 Intact Info handled the entire digital marketing strategy for the US division of Caesarstone, including SEO, PPC, and media buying. As a small company in 2008, Caesarstone wanted to be recognized as a “top player” in the Quartz Surface industry. They were not ranking for their targeted keywords and had a smaller budget than that of their major competitors. With a dedicated team of content creators, technical developers, link builders, and consultants, we were able to bring Caesarstone to the first page of Google, Yahoo, & Bing for over 100 competitive keywords, including “countertops”, “quartz countertops”, and “quartz surfaces”. 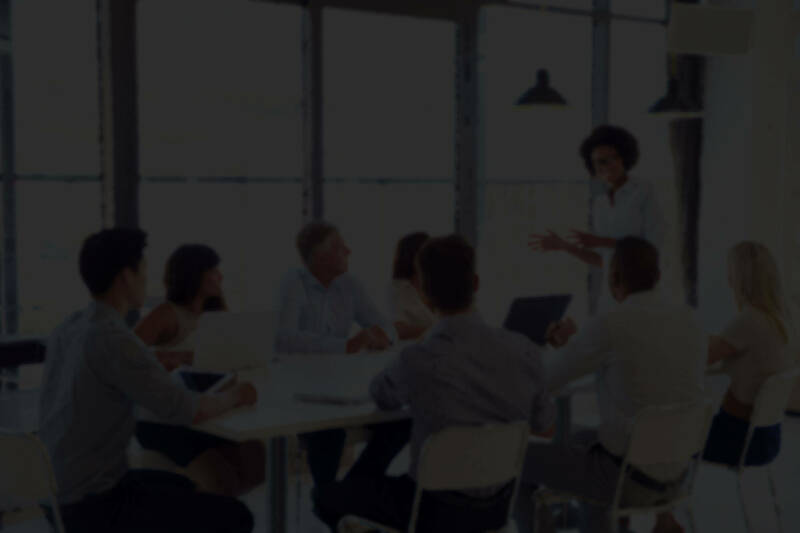 By utilizing split testing, optimizing bids and landing pages, adding strategic keywords and ads, and closely monitoring traffic, we were able to meet our Traffic and Conversions goals and reach the targeted audience for a lower cost than their competitors. Splitting the budget between larger network buys and smaller direct buys, we were able to grow the brand among key consumer and trade audiences. Ultimately, we were able to effectively increase traffic by over 40% year over year through custom banners, behavior targeting, geo-targeting, retargeting, and dedicated direct buys.